We could write all day about why we love our High Holy Days and our Shema Koleinu Jewish New Year services, but we figured there is no better way to tell you than to seek out one of our congregants to help tell the story! In this blog post, Melissa Ferber, from Weston, tells us why Shema Koleinu is her favorite place to be for the High Holy Days and for all her Jewish community connections. Cantor Debbi Ballard greets a member of the Shema Koleinu community. 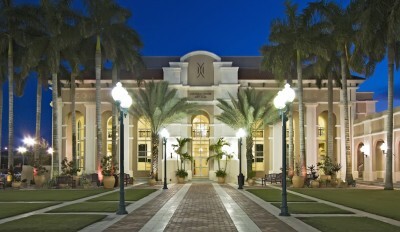 Melissa lives with her husband, two children, and two terriers in Weston, Florida. She is originally from New Jersey and loves to travel. What was your connection to Judaism before Shema Koleinu? I think I am typical of many Jews in Southern Florida. My family and I were members at a Reform temple in the area. I sent my kids to Jewish preschool, but ultimately felt like I wasn’t getting anything from the establishment. How did you get involved with Shema Koleinu? I first met Cantor Debbi Ballard about 5 years ago through temple, where Debbi was also a congregant. After my mother in law passed away, I was looking for a change from the traditional synagogue environment, and through word of mouth, was introduced to Debbi. When we spoke over the phone, she was exactly the warm spiritual leader I was looking for. She had me at hello. Can you describe your impressions of Shema Koleinu and Cantor Debbi? Through Shema Koleinu, Debbi has truly created a congregation without walls. She brings people together whether it is through High Holy Days services, community Shabbats, the Mitzvah Makers program (a post B’Nai Mitzvah youth group for children to earn service hours), book clubs, lunch and learns, and Torah study. My whole family is active in the Shema Koleinu community – my children became bar and bat mitzvahs with Cantor Debbi, we attend her High Holy Day Services at Miramar every year, and she is our 24/7 spiritual leader. I am honored to call Debbi a close friend. What about the High Holy Days & Shema Koleinu’s Jewish New Year’s Services? 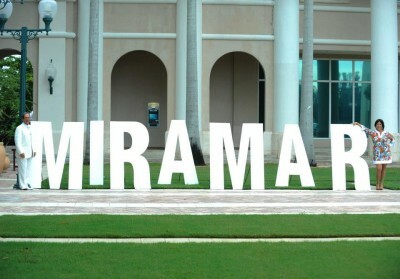 Debbi’s High Holy Days celebrations at Miramar Cultural Center is unlike any other High Holy Days services you’ll ever attend. My favorite moment is when Debbi first comes out singing from the back of the room. There is a certain drama and beauty to that moment, and the whole service is as captivating as a Broadway production. Debbi is so inspiring and engaging with her words and her song that even the children don’t want to get up for a bathroom break! Cantor Debbi engages her children congregants – everyone is included and gets the opportunity to participate. 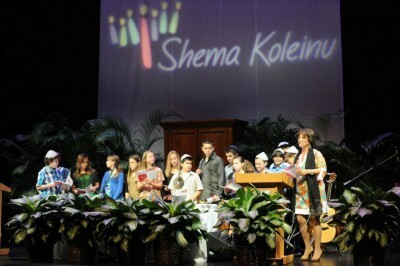 What are the top 5 reasons to attend Shema Koleinu High Holy Days – Jewish New Year Services? High Holy Day Services are a great way to turn over a new leaf and start fresh with another New Year. Everyone gets up and starts singing along and dancing. Debbi leaves you feeling inspired, and looking toward the future with hope. I can’t imagine a better way to bring in the New Year. The community breakfast afterwards is a great way to connect with the rest of the Shema Koleinu community. Everyone brings something to the table, there are plenty of bagels and fish, and Debbi’s blintz soufflé is amazing. My signature dish is a spring salad – it’s my mother in law’s recipe, a mixture of cottage cheese and fresh vegetables. Debbi is the most positive spiritual leader you’ll ever meet. She is always encouraging you to better yourself. The Shema Koleinu community is extremely open and welcoming to new people, including unaffiliated Jews, interfaith families, and the LGBT community. Debbi does a great job of blending the traditional and the new. If you’re looking for something special this year, I would highly recommend High Holy Day Services with Shema Koleinu. Wednesday, September 20th, Erev Rosh Hashanah 7:30 p.m.
Thursday, September 21st, Rosh Hashanah 10:00 a.m.
Thursday, September 29th, Kol Nidre 7:30 p.m.
Friday. September 30th, Yom Kippur 10:00 a.m.
No reduced prices for single services, one price seats all. IF you cannot pay the published ticket prices, please contact Cantor Debbi Ballard. Special consideration will be given. And be sure to follow us on Twitter, Like us on Facebook, and contact Cantor Debbi Ballard directly at debbi@shemakoleinu.org with any questions you may have about this year’s High Holy Days and how you can get involved. You can follow any responses to this entry through the RSS feed. You can skip to the end and leave a response. Pinging is currently not allowed.